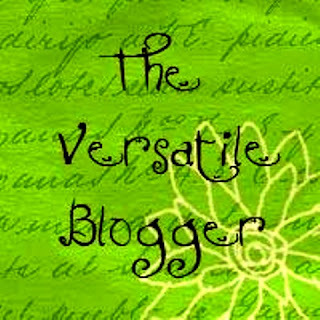 Thank you Johanna from Handmade Dreams of Mine for this gracious award. I've decided that as an token of gratitude, I will do an 'About Me' list for those who want to know more about me. Here goes. 1. I sometimes wish I was a photographer. 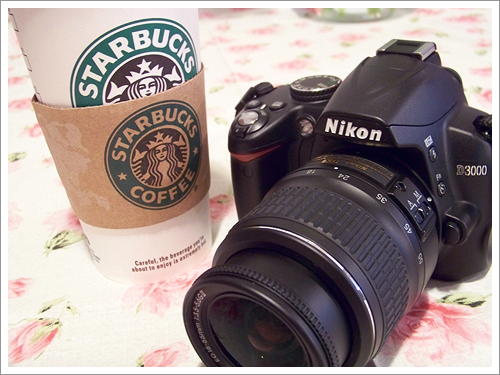 But that would require an expensive and high-quality camera and that's as far as that dream goes. Starbucks not included. 3. I love to work out. Absolutely love it. There isn't a day that I go on living without a little physical activity in my life. 4. I am a perfectionist. Sometimes. When I want to be. Just kidding. No, but really. 5. 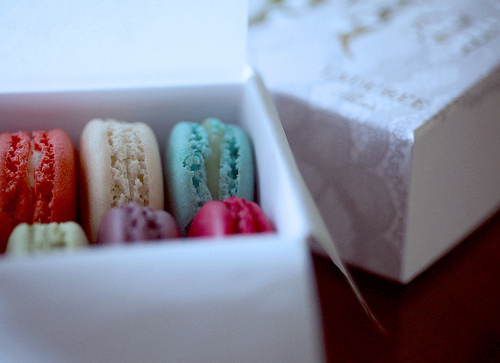 Like Blair Waldorf, macaroons are the most heavenly sweets to me. Gift me a Ladurée box and we're best friends. Just like that. PS- I have this photo pinned up on my board in my bedroom. That kind of obsession. Yeah, it's serious. 6. 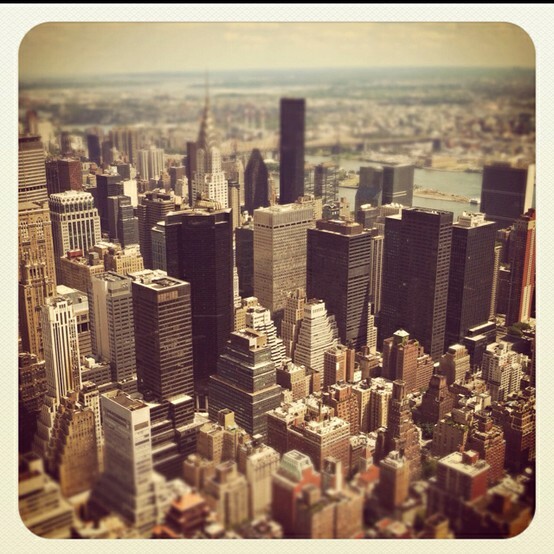 I want to live in New York. 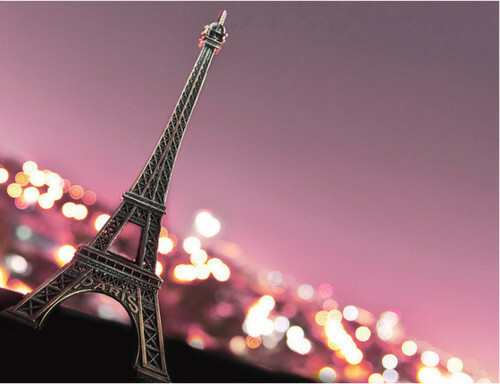 Or Paris. 7. 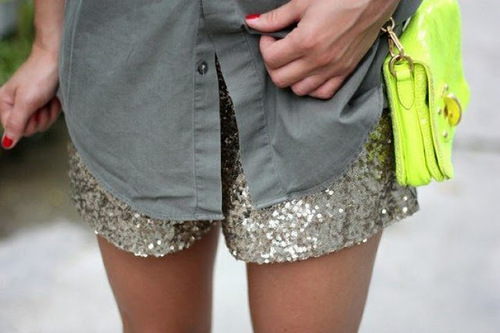 I have always dreamed of owning a pair of glitter sequined shorts. Have not found a pair...yet. Feel free to recommend some sites! 8. 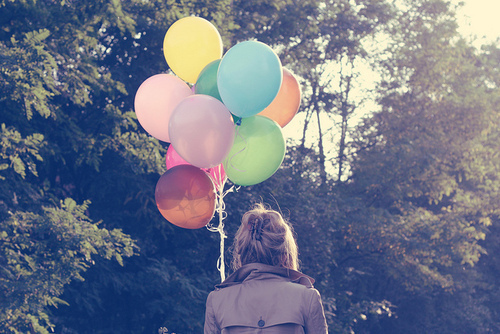 I have an obsession with taking photos with balloons. There. I said it. Now you can stop judging. 9. I chew at least four pieces of gum (or more) on a daily basis. I have this credulity that I'm the reason Stride profits so much... hey, discounts are always welcome. Just saying. 11. Last year I told one of my friends that my favorite color was gold. And so she got me this adorable jewelry mannequin for Christmas. 12. Jessica Lowndes is someone I've always wanted to hear live. I love her on 90210 and she has one of the most amazing voices I have ever heard. This is no joke. If you have any more questions about me, feel free to shoot me an email at hansbroughgrlx50@aol.com and I will be happy to answer any more!